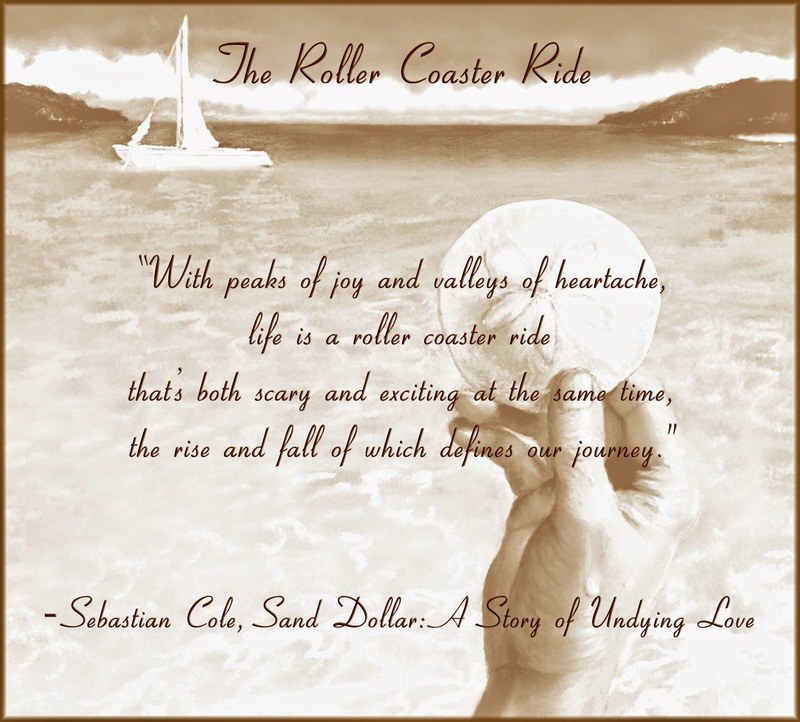 I have been on a roller coaster ride for the past six weeks, maybe more... I just don't understand why I do that, I don't even like roller coasters. It makes me wonder why I keep jumping on them and going for a ride that I end up regretting each time. This past week has been incredibly difficult as I knew it would be when I finally decided to feel my emotions, whether they were sadness, fear, loneliness... covering them just wasn't working for me anymore. Hence the roller coaster rides I've taken... feeling all your emotions is extremely difficult, especially when I have been doing everything in my power not to feel them. For ten years or so while I was growing up, I was not allowed to say how I felt, I had to bottle it up inside even though that can hurt you so much, it was my way to exist; it helped me to survive my childhood which was mostly fearful, sad and lonely... I never felt like I was really wanted or needed. I wanted to make it different when I was older and had a family of my own. Truthfully I couldn't make it better as I never had the tools, I needed to heal the little girl inside of me. Without healing her, I will never get better. I ran from her, I didn't want to feel that way, instead of getting away from the past, it followed me. It always does if you don't deal with it, I can never run far enough away, believe me... I have tried. Andrey was a perfect example of how I felt about myself, I didn't love myself enough to expect more and expect better. I thought I had come a long way with David but I hadn't because I was still hiding my emotions, still not feeling my pain. I've been wanting to fix that part of my life and this week I chose to confront it. Maybe I should have waited when I would have my closest friend available to me, however; I have been feeling the need to change and I had to stop making excuses. I am the queen of excuses and believe me, I am not proud of that. I can't make excuses anymore, David has made me believe that I deserve better. Even though I know I deserve better, it doesn't make it any easier to handle. Changing the way I have dealt with my emotions for the past 40 years or more is way more difficult than I knew. I want to be successful, I have to do it this time or I will always be on that roller coaster ride.